THE SSPP EDUCATION Committee – Promotes and organizes adult education opportunities as well as playing a supportive role for catechesis at all age levels. It is our hope that ongoing projects such as the lending library, feast day icon displays and handouts, bulletin articles, bible study, and catechetical sessions will create a thirst for more in-depth learning and acquisition of the tools necessary for spiritual growth. Contact Bernadette Popowych at popowych@shaw.ca for more information. 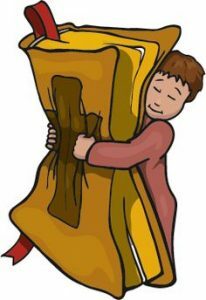 During the course of the Liturgical Year informative articles on Feast Days, Fasts, our traditions and catechism are in the bulletin. Also, for all major feast days and during the Pre Lent and Lent season, handouts are available at the back of the church. There is always an icon or a poster to draw attention to the presence of handouts. Sessions are on Sunday evenings at 6:30 pm in the church auditorium. Contact Bernadette at popowych@shaw.ca for the latest information. These are held 3 or 4 times a year, scheduled on Sundays following the Knights of Columbus breakfasts. The start time is approximately 1:15 pm. Sessions will be announced in the bulletins. Please watch for posters as well. The Lending Library is located in the church auditorium. It is open during breakfasts and other occasions such as the Lenten Mission. If you would like to access the library at other times, please contact Monica Kurmey at mdkurmey@sasktel.net. 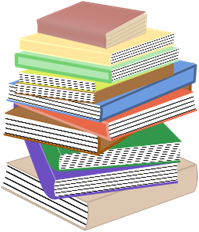 Click on the link below to see materials we have in our library! Sessions are held on certain Saturday mornings after the Divine Liturgy at 9:00 am. For more information contact Brian Ander at bandjo@sasktel.net. 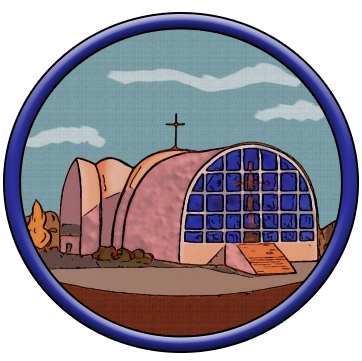 Click on the icon below to see how our group at SSPP wrote their first icon! The altar is to a church what an icon corner is to a home. The home is our domestic church. The mother and father are the head of the church, with the children as their congregation. The parents have an important role to play in leading their church. Their responsibility is to bring themselves and their children closer to God. They are able to accomplish this by learning more about Him and living life as He would choose. It is also their job to bless their children. They are to encourage their children to pray, fast, read about God and the history of His people. They are the first catechists to their children. The children also have important roles in the domestic church. They should learn all the lessons that their parents teach them. They can read the scripture passages, light the candle, and prepare and participate in the family prayer time. The domestic church is the basic building block of the larger church. It is the desire of the church to strengthen the domestic church because this is its foundation. What is an icon corner? The icon corner is a reminder of who we are and serves to provide us with a place to pray. We are children of God. Just as we have photo albums full of family members, we should also have pictures of God and the Saints to remind us who we are and who we are to become. On rising in the morning, before and after every meal, in the evening and before going to bed the icon corner stands as an invitation for the family to come together to pray. Each icon corner will be set up to reflect the family and their needs. Icons: Every icon corner will be different in the kinds and number of icons present. 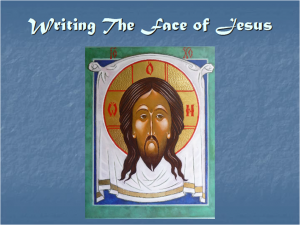 It would be appropriate to have an icon of Jesus Christ or of the Mother of God, or both. Patron saints of each member of the family may be added. Icons of special feast days or any other icon that has significance to the family may be added. We do not pray to or honour the icon itself. We look through the icon, like looking through a window. We pray to the person that is represented. Icons are not lifelike. They do not show the present reality of humanity, rather they depict the reality of the person having been changed by sharing in God’s divine nature. Cross: The cross is the symbol of the resurrection. It is the sign of the victory over sin and death. Bible: This is the word of God. It should be left open on the shelf or table to let the Word of God pour out. It is important not lust to leave the Bible in the corner. We should take it and read it. This is our opportunity to get to know God better. Candle or lamp: Christ said “I am the light of the world” (John 8:12). The light of the candle or vigil lamp reminds us of that light by which Christ illumines our souls. The candle can be lit all the time or just during the time of prayer. Holy Water: This is the water that is blessed at the Feast of Jordan. The water can be drunk or sprinkled during time of illness or whenever blessings are needed. Holy Oil: The holy oil may also be used for an anointing during the time of illness or when blessings are needed. Rushnyk: There is usually a rushnyk (embroidered cloth) draped over the icon or cross. This is to show the honour and respect that we place on the icon. This could be the rushnyk that was used for the parent’s wedding. The rushnyk should be taken off during lent. Parents’ wedding crowns: The crowns are a symbol of the consecration of the parents at their wedding. This is only possible when the crowns are woven from myrtle as part of the wedding preparations. If there are no wedding crowns, include some other symbol of the wedding like a picture or certificate. Prayer book: There could be a prayer book that the family uses during their prayer times. Incense: Just as we use incense in our church, we could also have incense present in the domestic church. We ask that our prayers rise like incense to God. Prayer beads: A set of chotky (Jesus prayer beads) or a rosary. Where do we put the icon corner? 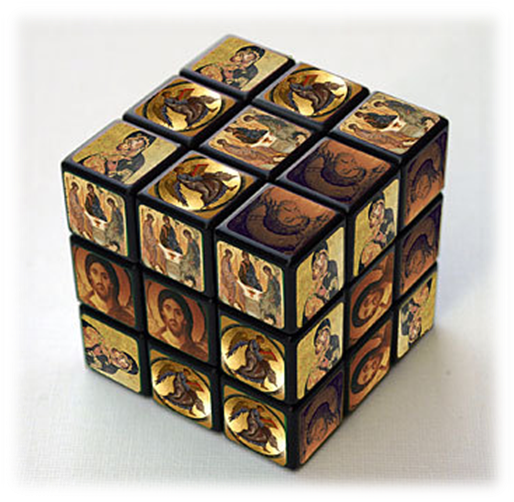 Traditionally the icon corner is placed in a corner, hence the name. Some also like to have it on the east wall, for the same reason our churches usually faced East, anticipating the second coming of Christ. The best room for the icon corner will depend on the family. You may want it in the kitchen, where the family gathers to eat may be in the living room or family room, where the family enjoys each other’s company. The icon corner should be part of a family area. How do we pray with an icon corner? As with any new form of prayer, we need guidance to get started. To begin, simply gather at the icon corner to say the usual morning and evening prayers. As you become more accustomed to praying in this location, the prayers develop into something that will uniquely suit the family. Scripture readings, petitions, thanksgiving, hymns, traditional and spontaneous prayers could all be included. A beautiful way to start the New Year is to have a house devoted to Christ. 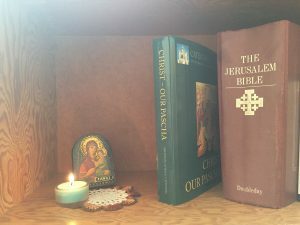 Having just established an icon corner in the home, invite the parish priest to bless not only your home, but also to bless the family icon corner! 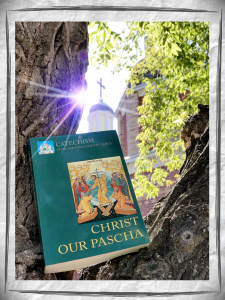 Having the Catechism handy as a resource is also an excellent idea!